Today I want to share one of my favorite cookbooks with you all: Kyra’s Kitchen by Kyra de Vreeze! The Author. Kyra de Vreeze is a young, Dutch, woman who describes herself as an “activist for health and happiness”. She studied natural healthy and nutrition and shares her recipes and knowledge via her blog en vlogs, articles, books, workshops and many other activities. I’m following her blog for quite some time now and I’m always looking forward to her new recipes. The book. The book contains 50 recipes, related to 10 different common health problems such as a bloathing belly, headache, stress and insomnia. Kyra gives information about these common health issues and explains how nutrition can help you solve and prevent these problems. 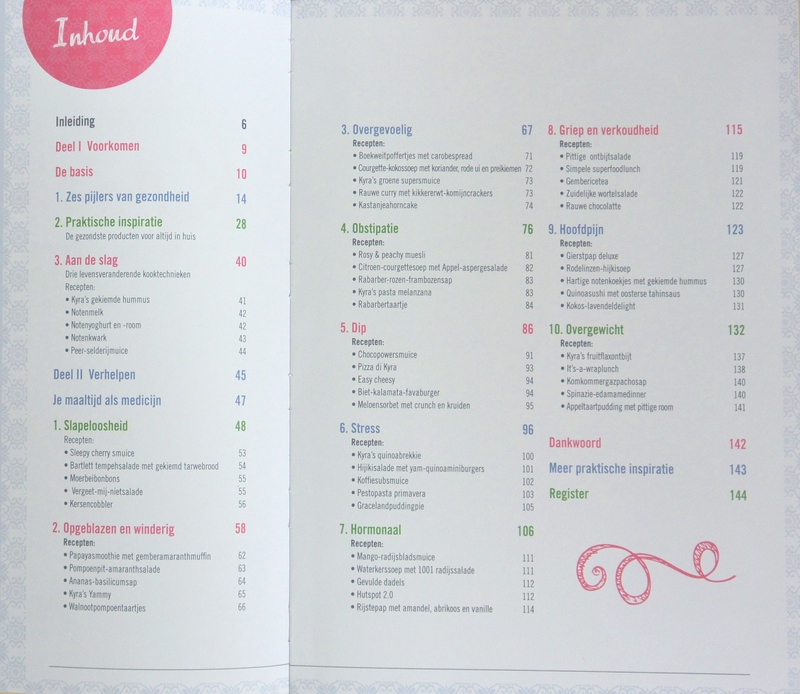 The recipes are organized by the different complaints, this makes it easy to find a suitable recipe. But ofcourse each recipe is also great when not suffering from any of the health issues mentioned. Allergies. 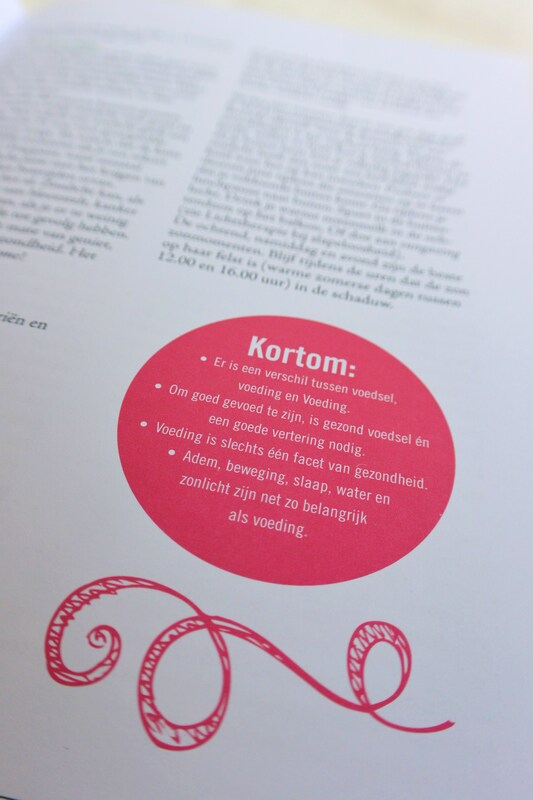 Several recipes in the book contain nuts, therefore I would not recommend this book to people with an allergy for nuts. But the recipes in the book are perfectly suitable for people suffering from lactose intollerance (or an allergy for cow’s milk) or gluten allergy and/or intolerance. All recipes are made without cow’s milk and most recipes are glutenfree (or with options to make it glutenfree). Cookbook? Personally I really like the style in which Kyra has written the book. It’s easy to read and the information provided is made very understandable and clear. Not all of the recipes are accompanied by pictures, that’s a pity in some cases. But the pictures that actually are in the book are lovely, inspiring and motivate me to get in the kitchen and prepare some healthy yummyness! 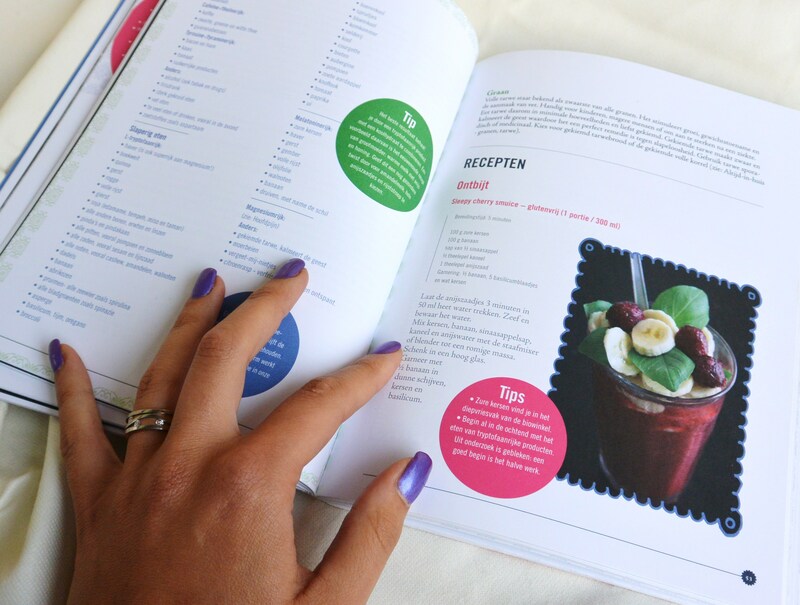 To me the book isn’t only a resource for good, healthy and yummy recipes, but it’s also a manual for a healthy lifestyle and I often take a look in it for some background info or tips. 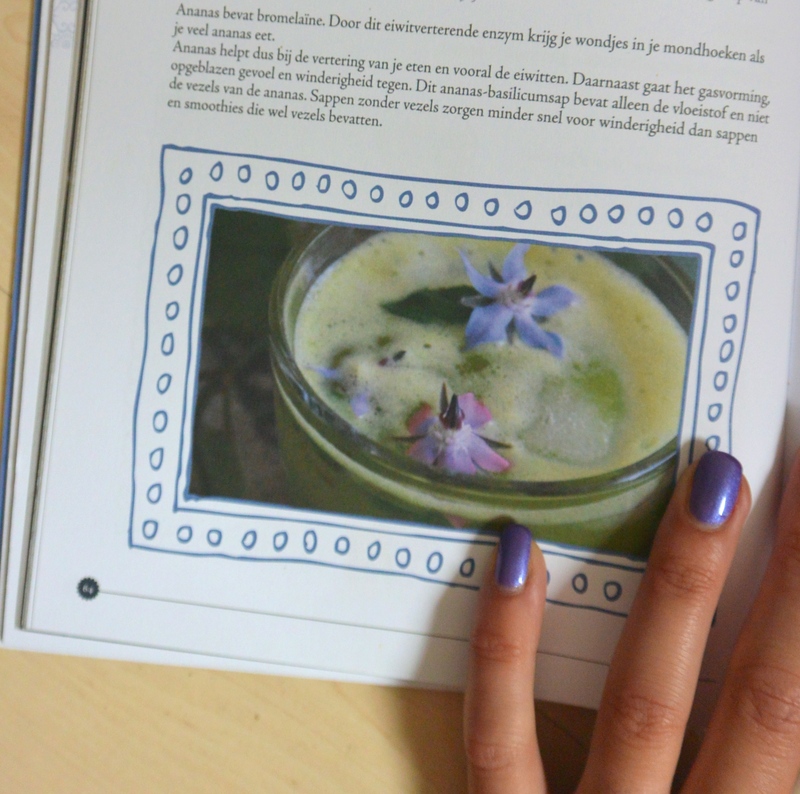 On Kyra’s website/blog ( www.kyradevreeze.nl ) you can find even more recipes and she’s currently working on a new e-book with new “quick yet tasty recipes” which will be “99% vegan & glutenfree and 100% pure, clean, sugarfree, veggie goodness”. I’m sure she will give us even more information and insights into healthy dining and living! Can’t wait until the e-book will be available (expected release date: september 2014). Was this review helpful to you? Feel free to share your thoughts in the comments below! Posted in Background information, Kitchencoolness, ReviewsTagged cookbook, dairyfree, fit, food, glutenfree, glutenvrij, healthy, healthy lifestyle, natural, review, sugarfree, suikervrij, vegan, vegetarian, zuivelvrijBookmark the permalink.